Need Experienced Lawyers to Deal With Your Personal Injury or Wrongful Death Claim in Menifee, Riverside, California? 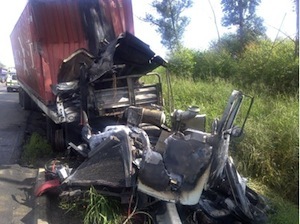 Menifee truck accidents can cause terrible injuries, even deaths with wrongful death claims, and major property damage. Dedicated to pursuing excellence in all our endeavors, our Menifee injury attorneys employ an aggressive approach in our legal commitments. We feature a team of compassionate yet aggressive lawyers with loads of experience in handling a number of challenging truck accident, car accident, motorcycle accidents and other personal injury and wrongful death claims. We have better than a 95% success rate in our span of practice years. Equipped with 40 years of experience and expertise with substantial resources to be able to fight the opponents’ insurance company, our lawyers fight for your rights to procure the best possible medical care, help you with transportation to your doctor if needed and to get you the maximum settlement for all financial losses borne by our clients as a result of injury or the death of their loved ones. If you had any accident with injury, please reach out to us now for expert legal assistance. Click here to obtain legal support for a truck accident personal injury or wrongful death case. In order to acquire all the relevant information concerning skills and achievements of our lawyers, take a look at our lawyer profiles and our client tesimonials. In addition, take a look at Truck Injury Accident Web Site to understand the general principles involving truck accident injury claims. And, for more specific advice about your own case, we advise you to call us now, 24/7 at 1.866 INJURY 2 or 818-222-3400 (after hours press 1) or simply click here to send us your information now. 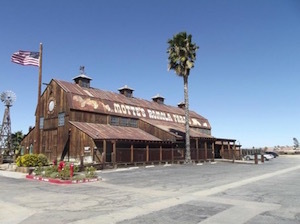 Located in southwestern Riverside County, California, Menifee is situated just 8 miles north of Murrieta. The city stretches across a total area of approximately 50 square miles. 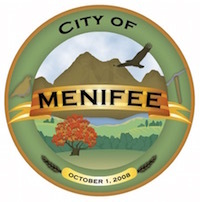 Further, a population of roughly 77,519 inhabits Menifee, according to the 2010 US Census (http://quickfacts.census.gov/qfd/states/06/0646842.html). Menifee features a Mediterranean climate and an abundance of sunshine marks its presence throughout the year. Days of April through October feature hot and dry weather with the average temperature topping out at 101°F. Unlike those hot months, days of November through March mark occasional rainfall. Several famous people have resided in Menifee. Fernando Gonzalez, a professional MMA fighter resides in Menifee. Also, Mike Metzger, an American Freestyle Motocross (FMX) rider, also has resided in the city of Menifee, Riverside County, Calif. 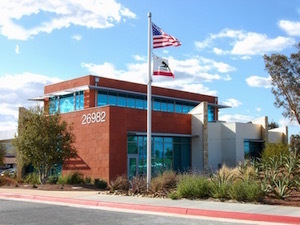 Expert legal assistance enable truck and car accident victims in Menifee and the families of those killed in truck and car accidents with wrongful death accident claims to deal with all the problems, expenses, procedures and time deadlines that come with serious truck and car accident claims. Obtaining proper medical care – usually with no payment due until your case is resolved..
Property damage repair or replacement. Transportation to and from doctors and other health care providers. Negotiating the best settlement for all losses, damages and pain & suffering. Complying with time deadlines imposed by the California DMV and truck accident insurance policies. These are just some of the things victims of truck, car and motorcycle accidents in Menifee and all of Riverside face Contact us now for legal assistance by our team of proficient lawyers and staff, who have won successful verdicts in major courtroom cases and settlements in a span of over 40 years. Our practice and expertise includes wrongful death, personal injury, truck accidents, car accidents, motorcycle accidents, bicycle accidents, uninsured motorist UM) claims, dog bites, falls and other premises liability accidents, and burns, just to name a few. We strive to leave no stone unturned to ensure that our clients obtain justice with maximum compensation for their losses. Apart from being extremely aggressive in fighting for our clients and negotiating against insurers, our attorneys are extremely sympathetic of our clients’ plight. Mindful of the fact that handling painful injuries, mounting medical bills, loss of earnings and the formalities of legal cases can be a painful affair, we take it upon ourselves to deal with all of this as well to help you, our clients! We strive to provide excellent service and results! We are a team of accomplished lawyers, adept at delivering to your needs with our exceptional legal skills for personal injury, truck accidents, or wrongful death claims in Menifee, California. Feel free to contact us NOW for your free evaluation and consultation. For a quick consultation, simply fill-out the details in our contact us form and tell us about your Menifee, CA truck accident or any other injury accident. We provide FREE consultations and work on a contingency basis on Menifee accident injury cases, which means we do not get paid until we win your case and our fee is paid from our recovery, not your pocket.